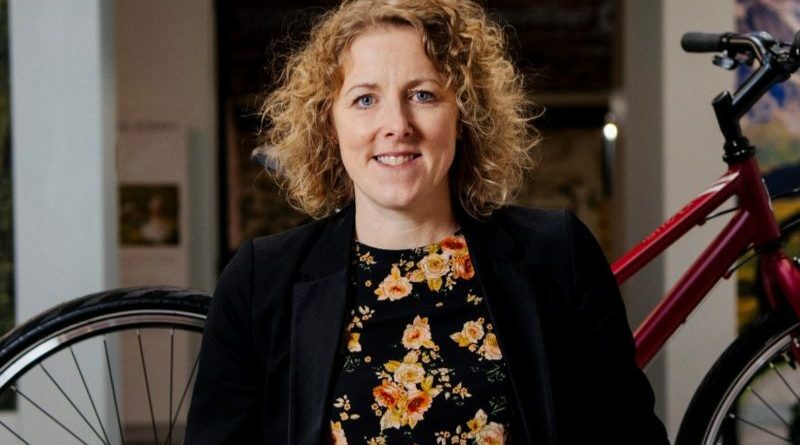 Raleigh UK MD: "The independent retailer remains vital to the success of the bicycle industry"
So Pippa, you’ve steered the Raleigh UK ship through a turbulent 2017 for the bike world. How has year one treated you and what’s on your to do list for 2018? 2017 was a really important year for us at Raleigh. The team took brave steps to get ourselves in to the shape we needed to be in. We came out of the year looking and feeling fantastic having created the momentum we need to reach our full potential in 2018. 2017 was all about simplifying our business, focusing on what we are good at and then implementing our plans with energy. What changes have you overseen thus far at Raleigh UK? We have created the digital capability we needed within Raleigh which simply didn’t exist – we’ve gone from being behind the times to leading the way, which is a great achievement. We have implemented clear brand strategies that have seen us discontinue a number of brands and products and ensure we have the right portfolio sold through the right channels, without conflict or duplication. We have really stepped up our game as a distributor as well. 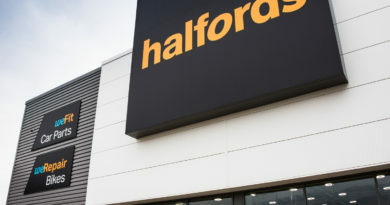 Our customers now know Raleigh UK as a ‘one stop shop’ for everything they need. We are driven to deliver the best brands, with the best availability and the best service levels. All signs show that this is exactly what dealers want and need, which is why our partnerships are growing daily. With the Accell Group now five years deep with Raleigh UK, how much of an influence has the parent company had on the business to date? Being part of Accell is now really starting to be exciting. Our CEO Ton Anbeek is bringing a new level of energy which is driving all the right changes. Raleigh UK is leading a group-wide web platform which will take our digital capability to the next level, we are part of a pan European team implementing state of the art CRM systems and Accell Group have invested in important consumer insight research in the UK, which we are now using to drive our business decisions. On top of this, we are working at a central level to ensure, as a group, we secure the best P&A brands for our retail partners; this ensures they can have the products their customers want, on their shelves or available to order for delivery the very next day. Being part of Europe’s biggest bicycle company has never been more important to us and will give us real competitive edge. 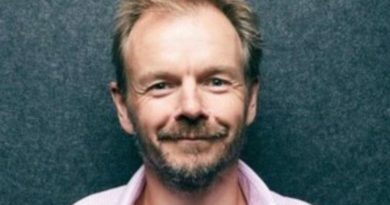 Following a tough 2017, Accell recently announced a restructuring of its operations. To what extent does that affect Raleigh and by the close of 2018 what efficiency improvements will we see in the business? The announcement is great news for Raleigh UK. Clear brand positioning, investment in digital platforms, a strong and centralised innovation funnel and investment in both state of the art IT and an efficient and effective supply chain will all be delivered by Accell Group. This centralised investment and focus will take much of the hassle factor away from us as a market region which means we can focus on achieving our plans. Our focus will be on working with our partner retailers to grow sustainable business by giving consumers great bikes, as well as the parts and accessories to go with them. There have been rumblings of discontent from independent shops about direct sales on selected lines – most notably the Burner re-issue. What can you say on this practice to re-assure dealers they remain well serviced by Raleigh? The Burner re-issue was 100% a marketing campaign designed to generate leads and build consumer engagement with the Raleigh brand. Our business and that of our partner bike retailers will not survive by selling old school BMX. The Burner campaign saw 7,000 people on our site, all providing their details. These people all have children and grandchildren who want bikes; they are looking for bicycles and e-Bikes for themselves and their partners. This is what will secure success for us going forward. We have launched our national partnership with the Caravan and Motorhome Club. 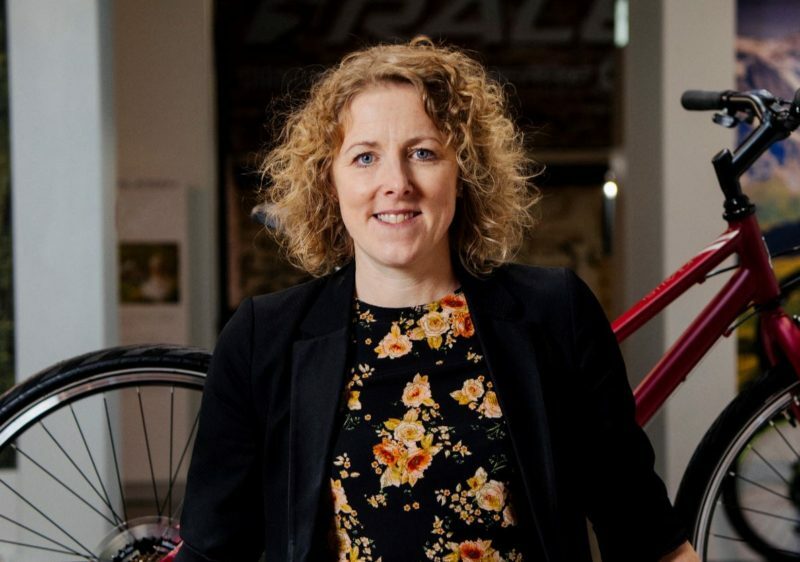 This organisation has more than one million members, many of whom currently buy bikes from shopping channels or national retailers, but all of them have heard of Raleigh and would buy Raleigh. Since the launch of the partnership we have seen a real spike in our electric bike sales and our Raleigh e-Bike stockists are calling me to say that this is really working for their business. One store sold three e-Bikes to CAMC members the day after we launched – that is what you call driving footfall. We are planning our e-Bike Festival later with the year in partnership with Sherwood Pines Cycles. 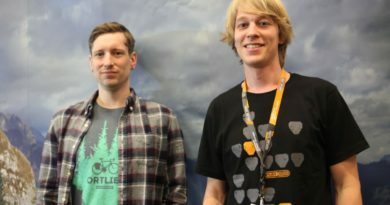 Consumers will be able to try out Haibike, Lapierre and Raleigh e-Bikes over the weekend in a real festival atmosphere. Any great partnership of brand and retailer working together. How is Raleigh UK adapting to meet the modern shopper head on and to ensure your products are chosen ahead of competitor’s goods? When you are growing a brand like Raleigh, the consumer is incredibly powerful. We recently talked to more than 1,200 UK consumers who have bought a bike in the last 12 months and the results were really astonishing and supported our belief in the power of this great UK Superbrand. 28% of consumers named Raleigh when asked to name a bike brand without any prompts. That is 12% points higher the nearest competitor. 52% of people would consider Raleigh when making their purchase. That’s 26% points more than would consider Specialized, for example. Raleigh customers are more likely to recommend a friend. Our Net Promoter Score is 59%. That’s 10% points higher than the industry average, and the highest in the industry. This stuff is gold dust for independents who stock Raleigh. No other brand is more recognised, more considered or more recommended. The challenge is getting these consumers in to the store – all too often they are buying somewhere else. This is why our investment is focused on digital marketing and instore demonstration capability. 80% of those interviewed completed their transaction in store; we need to make sure that’s one of our retailer partners. 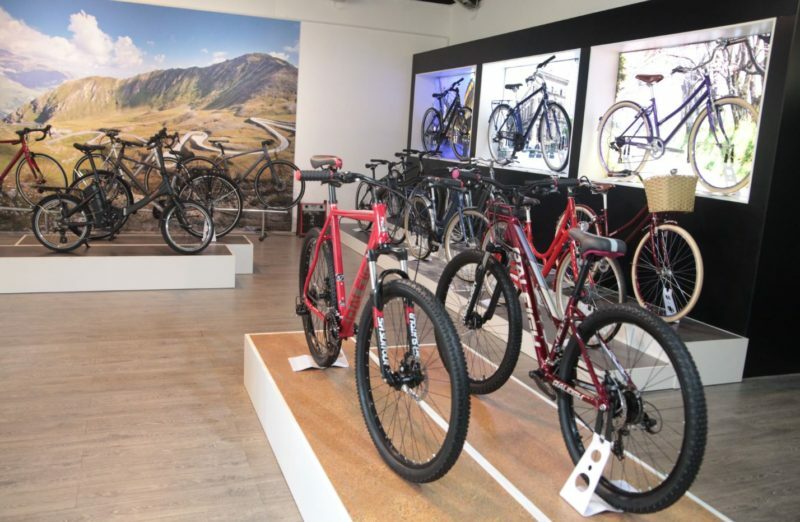 Click and collect is not ‘going direct’, it’s getting consumers in to bike shops! Let’s be clear here, I believe strongly that the independent retailer is vital to the success of the UK bicycle industry going forwards and our consumer research backed this up. What the consumer wants is changing and our role is to work with our retail partners to ensure we and they change to deliver the value the consumer is looking for. On-line platforms giving consumers the content they need to really help with their decision making. Bike configurators, live webchat answering questions there and then, new IT solutions so consumers coming to our websites can see and buy the stock our dealers have instore, video content that really answers the questions consumers have and helps them to choose the right bike for them. In-store experience drivers. Consumers are telling us loud and clear that they want to see, touch, feel and try the bike before they buy and this is only possible if we are working with our retailer partners. Online booking of demonstration, dedicated demo centres and digital POS to integrate the journey are all on the way. Great service is also going to be vital. This is the other area where the retailer really does offer something that the internet cannot and will become more important as the e-Bike market continues to grow. Designing bikes carefully with the best user experience in mind, having spare parts in stock so dealers can get their customers back on the road, having an easy, trust based warranty process to make retailers life easy are where we are focusing. What improvements have you made in terms of logistics, infrastructure and IT to assist the modern bike retailer? 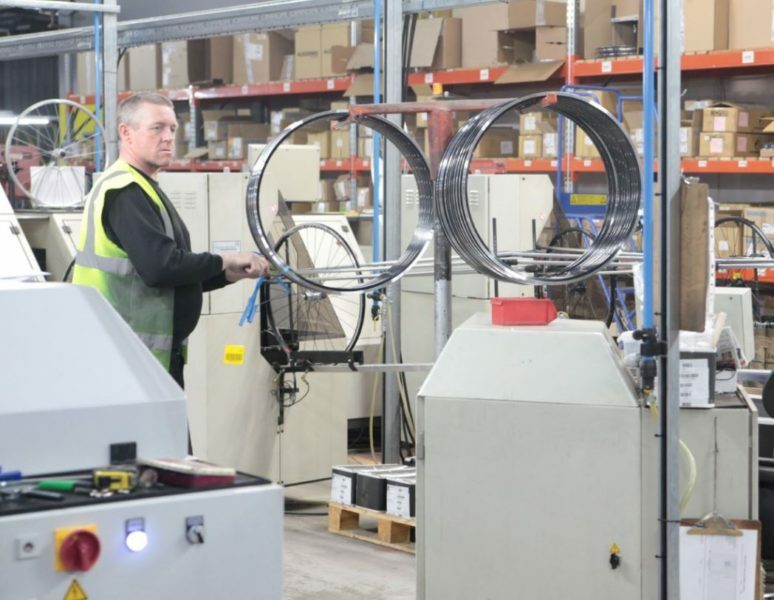 The combination of introducing voice pick and flexible working into our warehouse has enabled us to put our cut off times for orders out to 6pm. We were the first distributor in the UK to offer a next day delivery service for orders placed up to 6pm, and rest assured, we won’t stop here. Our independent retail partners need this to offer great service to their customers and we will continue to improve our service offer to support them in this. We are working hard to develop our offering further, so watch this space. What investments have been made on development of in-house labels, as well as acquisition of leading labels in the market? Being part of Accell Group means we can offer strong brand choice with our range of bicycles and e-Bikes. We’ve Raleigh for leisure, commuter, fun, family and fitness; Haibike for E-Performance; Lapierre for performance road, MTB and e-MTB; and Diamondback for recreational MTB. Consumers want and demand a choice of brands; we can offer that choice from a single partner. Our focus is completely on where we can win now. We have removed low-end/entry-level brands to ensure we develop and grow where we are strong – mid and high end e-Bikes and bicycles. On P&A, our in-house labels of XLC, Raleigh and RSP continue to grow as they offer the bike retailer a real value and margin-led proposition that doesn’t put them in direct competition with pure web players. 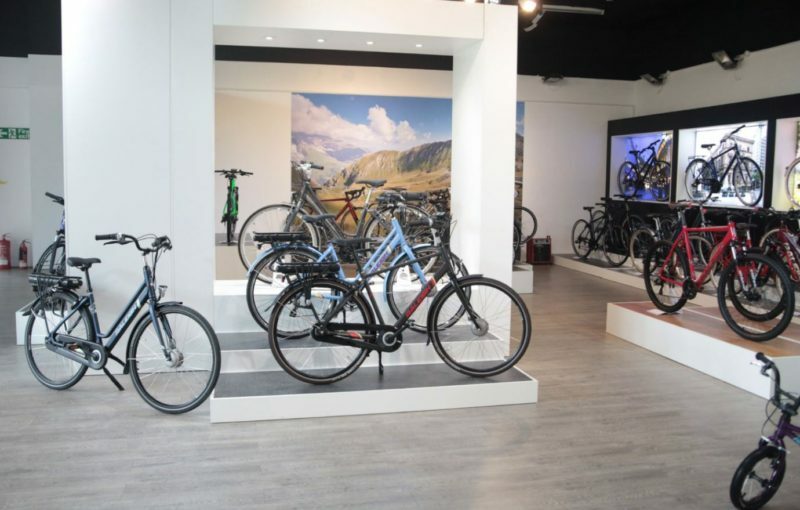 The XLC range has been increased by 1,300 SKUs to offer everything a UK bike retailer needs and Raleigh accessories are being developed to align with the bicycle range so the consumer can get everything they need from Raleigh. A great example of this is the new kids’ range including the Mini-Burner and Mini-Sherwood which will come with matching helmets. We also have some fantastic new P&A brand partners. Pedro’s tools and cleaning, Grip Grab, and working with Continental tyres boosts our ‘one stop shop’ offer as our retailer partners can now satisfy all their need for tyre brands and products from the Raleigh B2B. We are also extremely proud of our SRAM Access commodity programme. SRAM Access is designed to make life as a dealer easier by offering a complete solution so they can purchase all their SRAM products from one distributor with free next day delivery on orders placed before 6pm. This month has also been full of activity from Rockshox. We have had the launch of the all new BoXXer Red Lyrik RC2, featuring the new Charger 2 RC2. The larger negative volume in the new DebonAir spring provides unprecedented levels of small bump sensitivity and mid-stroke support. The Lyrik RC2, Pike RCT3, Revelation RC and Yari RC all get upgraded with the new DebonAir spring and new, shorter offset options to make them compatible with the confidence-inspiring (and smile-inducing) machines being dreamed up by bike designers around the world. Any hot seller tips or high-margin items worth a shop’s attention? Moon has led the way in bicycle lighting in recent years introducing a range of competitive and feature-rich products designed with the consumer at heart. 2018 and 2019 will continue the trend with a road map of industry leading products to come.